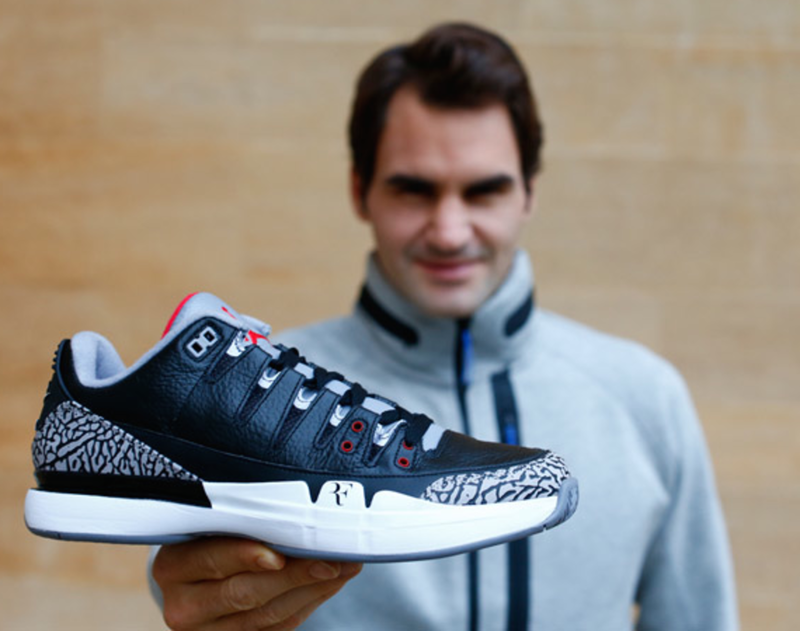 This past Sunday, Roger Federer wore the black/cement edition of his Nike Court Zoom Vapor AJ3, a hybrid that merges his signature model with the Air Jordan 3. 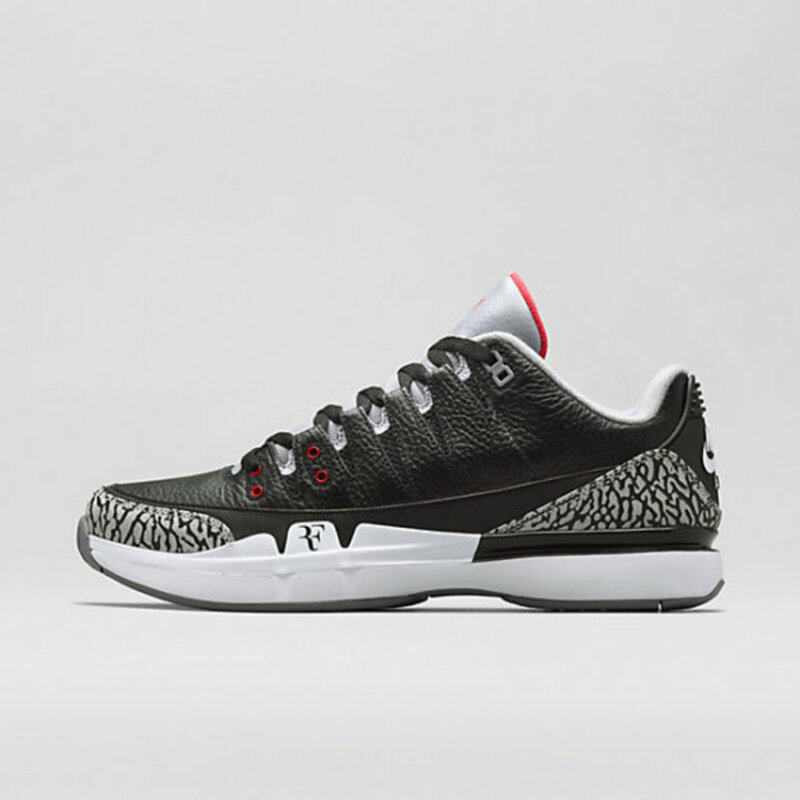 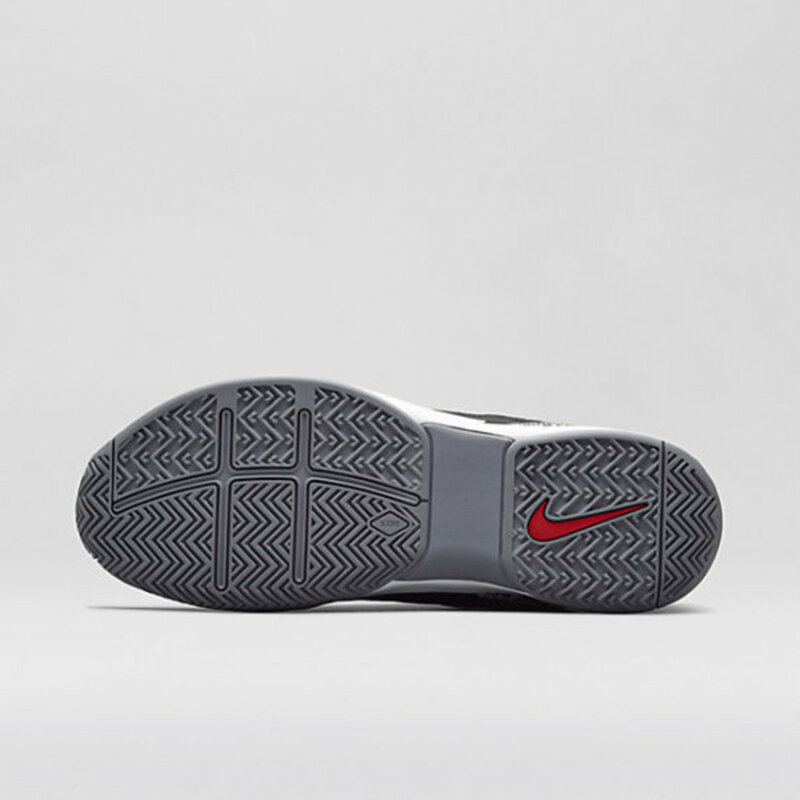 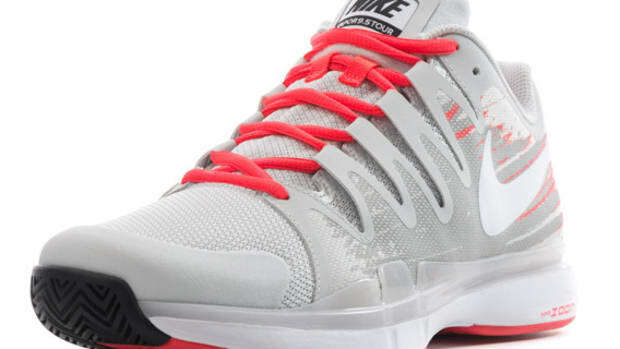 Taking their inspiration from two of the greatest athletes in the history of sports, the two models that lend themselves to this new shoe were both also designed by Tinker Hatfield, creating a trifecta that would cause even Barney Stinson to wait hours if not days to finish his description of them (legen…wait for it…dary). 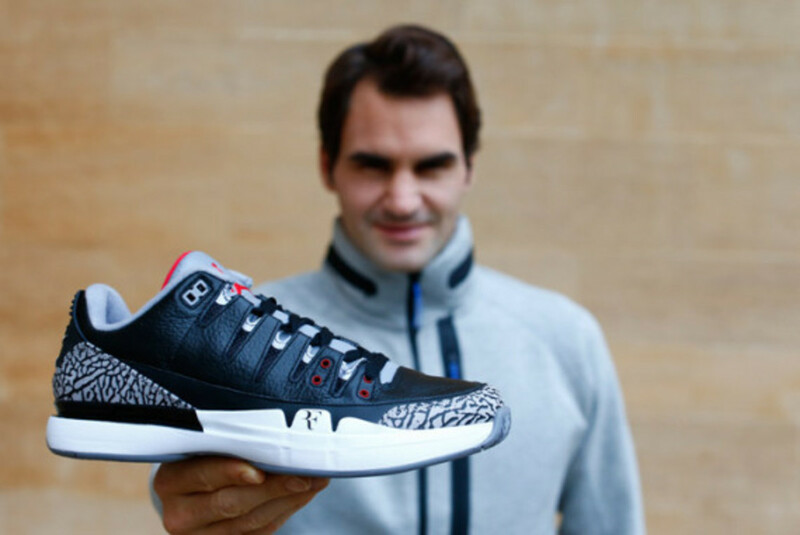 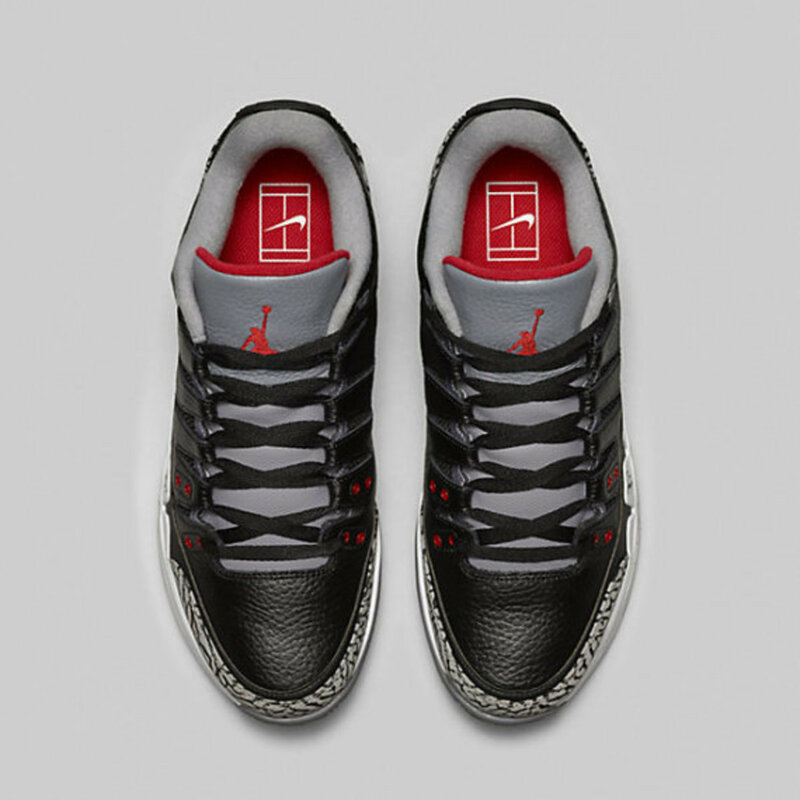 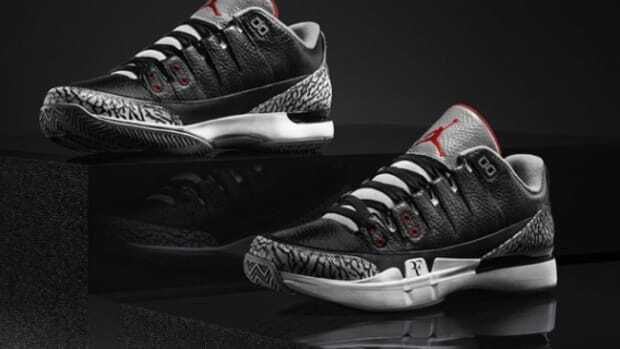 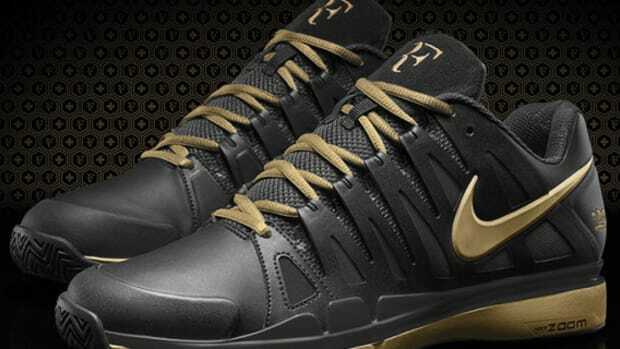 Before their release this morning, Crooked Tongues had the opportunity to speak with Federer about the design and development process and what it was like playing in front of Michael Jordan. 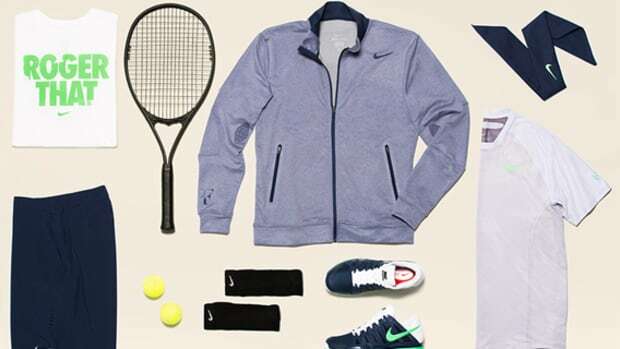 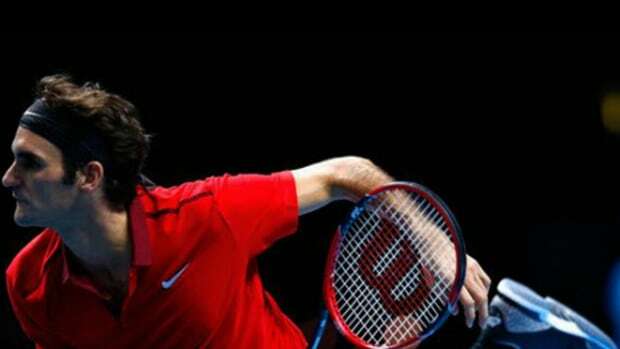 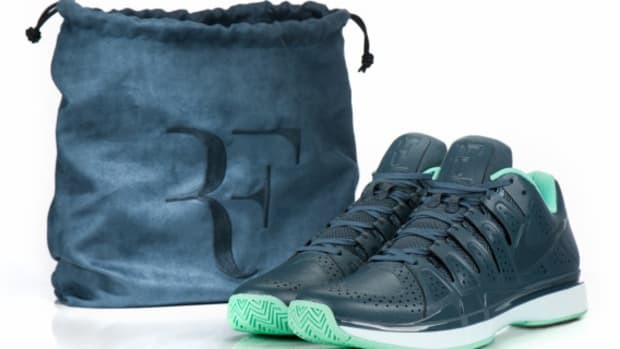 Perhaps most interesting was Federer’s stressing of how important it is to be psychologically comfortable with the shoes and outfit he is wearing. 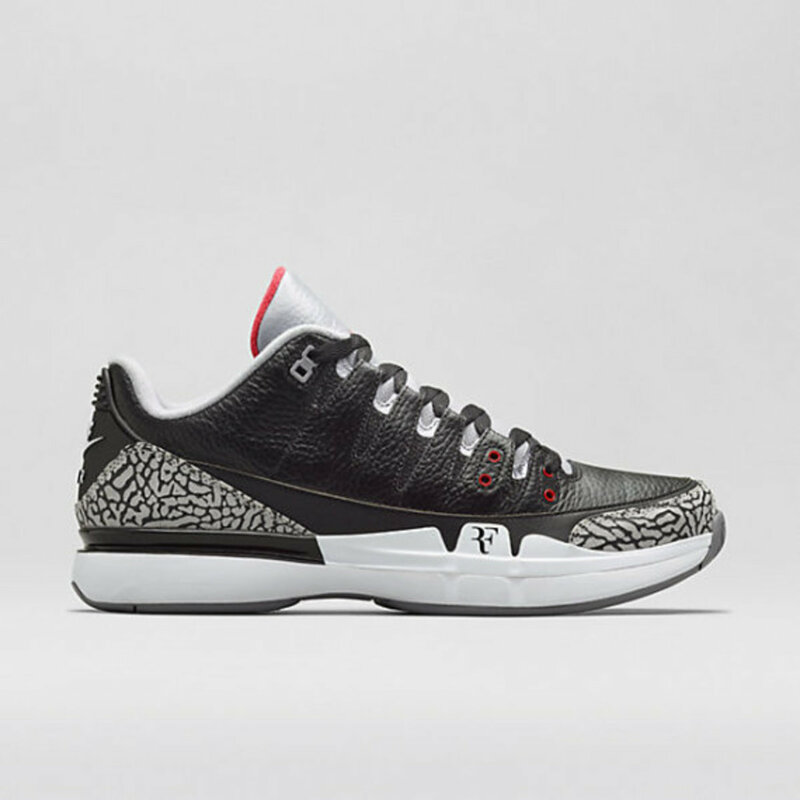 Given how often current professional sports players change the shoe models and clothing that they wear, there might be something to be said for a little more consistency. 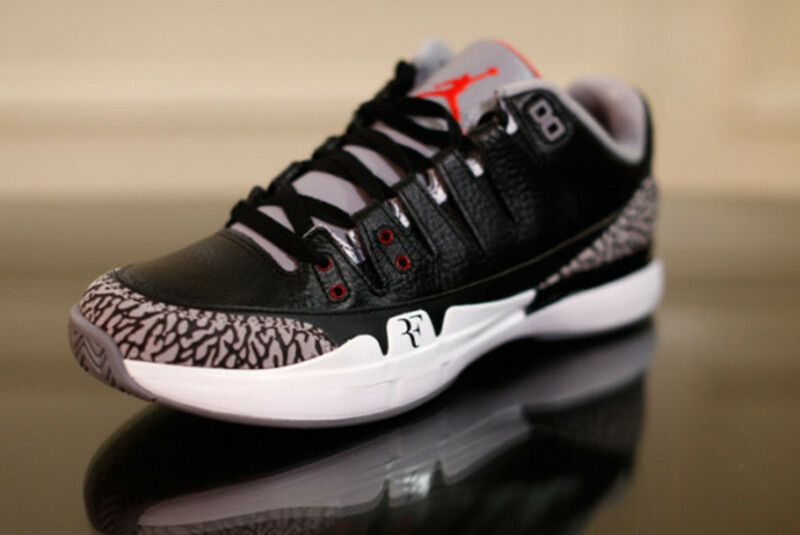 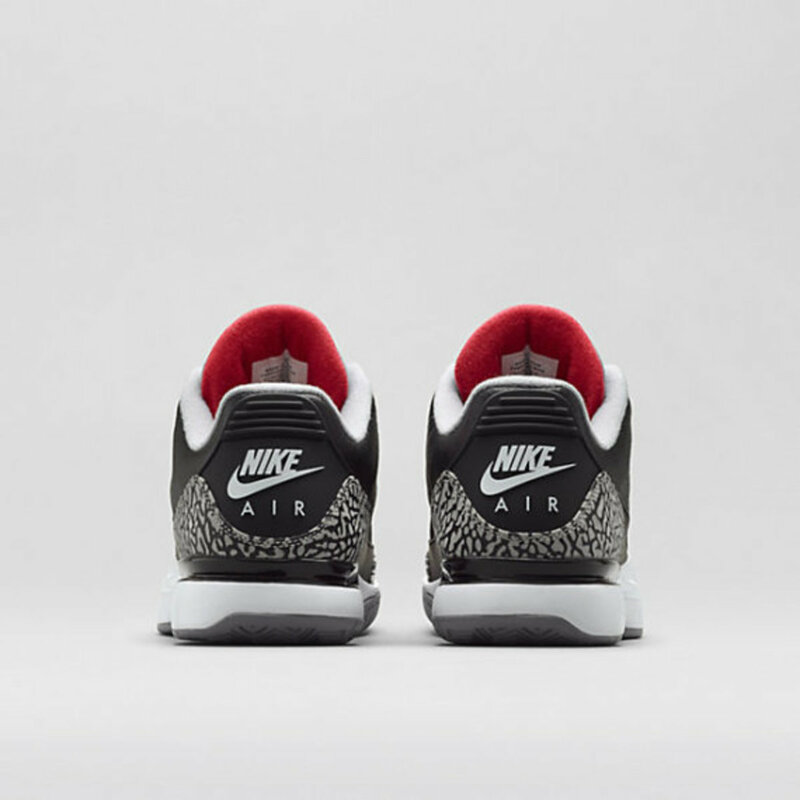 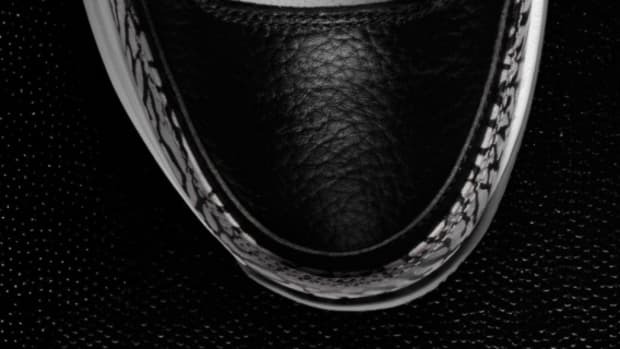 Check out more images of the Nike Court Zoom Vapor AJ3 below, and be sure to read the complete interview at Crooked Tongues.